2019 IKF World Classic. You Have 4 Ways Of Doing So. AFTER June 14th, 2019: FIGHTER CAN ONLY REGISTER INTO A FIGHTER BRACKET WHERE THERE ARE ALREADY FIGHTERS! CHECK YOUR WEIGHT AND RULE STYLE BRACKET "BEFORE" YOU REGISTER! WE DO NOT TAKE CREDIT CARDS FOR REGISTRATION! NOT REQUIRED FOR PKB FIGHTERS OVER 40 YEARS OF AGE. Fill it out in full. Get a headshot photo of yourself for your event photo ID Badge. 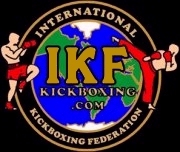 Make your check out to IKF Kickboxing. NOTE: You must pay the EXACT AMOUNT as in accordance to the Registration Fee Deadlines page located HERE. The amount as noted on this page is the amount that would be due on the day we RECEIVE IT at the IKF, NOT on the date you mail it. IKF World Classic, P. O. Box 1205, Newcastle, CA, 95658. IKF Kickboxing, 9250 Cypress Street, Newcastle, CA, 95658. Fill out your Fighter Tournament Registration Form in full. Make sure you include all your PayPal info on your registration form and your Pay Pal Rec in your e-mail. The amount as noted on this page is the amount that would be due on the day we RECEIVE IT at the IKF. YOU MUST REGISTER THROUGH PAYPAL IF FAXING YOUR FORM IN. CLICK HERE. Fax form to the IKF at (916) 663-4510. Remember, once you fax your form in. You STILL need to MAIL your 2x2 headshot photo (Make sure to write your full name on the back of your photo) to us for your event photo ID Badge. This can **ONLY be mailed to: IKF World Classic, P. O. Box 1205, Newcastle, CA, 95658. (**) Due to so many fighters not being able to measure a 2" x 2" Headshot/Passport Photo to e-mail, we DO NOT Accept E-Mailed Photos! ALL PHOTOS MUST BE MAILED TO: IKF World Classic, P. O. Box 1205, Newcastle, CA, 95658. YOU MUST REGISTER THROUGH PAYPAL IF E-MAILING YOUR FORM IN. CLICK HERE. Remember, once you e-mail your form in, you STILL need to mail your 2x2 headshot photo (Make sure to write your full name on the back of your photo) to us for your event photo ID Badge. REGISTRATIONS "RECEIVED" BEFORE 5:00 PM/PST TUESDAY, May 31st, 2019. REGISTRATIONS "RECEIVED" BEFORE 5:00 PM/PST June 14th, 2019. REGISTRATIONS "RECEIVED" BEFORE 5:00 PM/PST June 21st, 2019. REGISTRATIONS "RECEIVED" BEFORE 5:00 PM/PST June 29th, 2019. REGISTRATIONS "RECEIVED" BEFORE 5:00 PM/PST July 5th, 2019. REGISTRATIONS "RECEIVED" BEFORE 5:00 PM/PST July 12th, 2019. REGISTRATIONS "RECEIVED" BEFORE 5:00 PM/PST MONDAY, July 15th, 2019. REGISTRATIONS "RECEIVED" BEFORE 5:00 PM/PST WEDNESDAY, July 17th, 2019. MUST INCLUDE PASSPORT HEADSHOT PHOTO! Photo can be mailed if RECEIVED at IKF Office BEFORE FRIDAY, July 19th, 2019 AT 5:01 PM/PST. NO REGISTRATIONS WILL BE ACCEPTED AFTER 5:00 PM/PST, FRIDAY, July 19th, 2019. 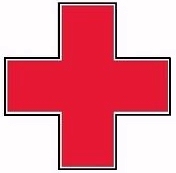 You must bring your "COMPLETED" Physical Form with you to the Tournament registrations and present for approval to the IKF Physician conducting your pre-fight physical on Friday, August 3rd.